Dr. Steven E. Major D.C., D.A.C.R.B., C.F.M.P. 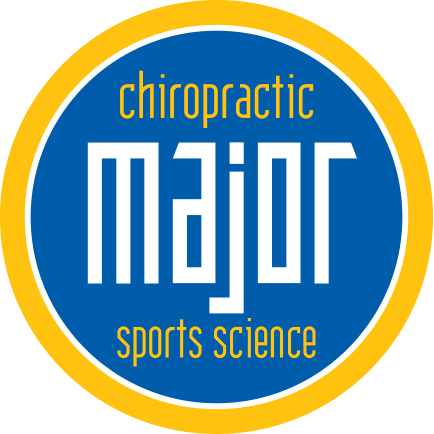 Dr. Major attended National College of Chiropractic earning a Bachelor of Science degree in Human Biology and a Doctorate in Chiropractic (1988). He established a private practice in February of 1989 in Carol Stream, Illinois and has continued to serve the western suburbs since that time. 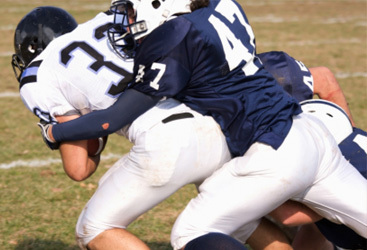 His current practice is located in Wheaton, where he treats a multitude of musculoskeletal conditions and specializes in the treatment and rehabilitation of sports and spine related injuries. 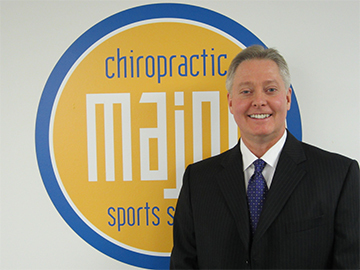 Dr. Major continues to stay current on manual therapy and rehabilitation techniques by attending numerous seminars throughout the year. 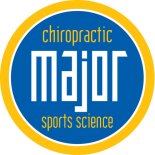 In fact, Major Chiropractic was honored to host 13 post-graduate seminars in 2014 approved by National University of Health Sciences for doctors and interns to continue to expand their expertise in sports injuries and rehabilitation. Dr. Major and staff are committed to better health and wellness for each patient. 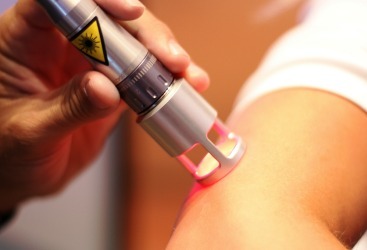 You can rest assured that your health is in good hands! Dr. Major enjoys spending time with his wife, Lin, and their family. He enjoys cycling, weight training and kayaking for personal fitness. Giving back to young athletes is important; Dr. “Coach” Major spends time coaching and developing talented athletes to achieve their highest level of performance. Coach Major was a volunteer Sprints Coach for Wheaton North High School from 2006 – 2014. Chaz Black returned to Wheaton in 2014 to coach the running backs at Wheaton College after spending the previous six years as a Hollywood actor and stunt man. Additionally, while in California he was a celebrity trainer and nutritionist, most recently for the cast of the show ‘Strike Back’ and UFC fighter Michael Bisping. Chaz graduated from Wheaton College in 2007 with a degree in Business/Economics and is certified NSCA:CSCS and FMS. Dena DeVore has been practicing as a Licensed Massage Therapist for 4 years. She received her core Massage Therapy certification from the Arizona School of Integrated Studies. She integrates a wide spectrum of modalities and techniques into her bodywork. Some of these modalities include Swedish massage, Deep Tissue massage, Sports massage, Neuromuscular therapy, Cranial Sacral therapy and Active Isolated stretching. The majority of Dena’s practice as a therapist has been in conjunction with chiropractors in a clinical setting. She believes working with other health practitioners is the most effective way to both learn and to treat the body and person as a whole. Growing up playing multiple sports, Dena has always been passionate about the conditioning and exercise elements of athletics. She loves running, swimming and strength training of all types. She has participated in triathlons and Crossfit for 5 years and will always be striving to meet new personal fitness goals. Dena enjoys being a part of your Rehab team at Major Chiropractic & Sports Science, Ltd.
As a former Major Chiropractic patient, J.C. Aikenhead has experienced first-hand the benefits of chiropractic care on athletic performance. After a four-year stint playing professional soccer abroad, he returns to Major Chiropractic as a member of the Rehab Team as well as both a Personal and Group Trainer. J.C. is currently working towards a Doctor of Chiropractic degree at National University of Health Sciences in Lombard, IL. Additionally, he holds a degree in Exercise Science from Butler University in Indiana. You’ll find J.C. at Major Chiropractic helping patients and clients work towards achieving their health goals. Outside of work, Julie enjoys spending time with her family. Family time includes hiking/fishing, a shared love of photography and volunteering with local charities including their own, Stockings Full of Hope founded in 2001.